Whenever I need a mental break, I think of this quilt I made a few years ago. Far from perfect, it provides the clues I need to transport me to that location. Closing my eyes, I pretend I am sitting on one of those rockers and can almost feel the mountain breeze. Visualization does help calm one's mind very quickly. 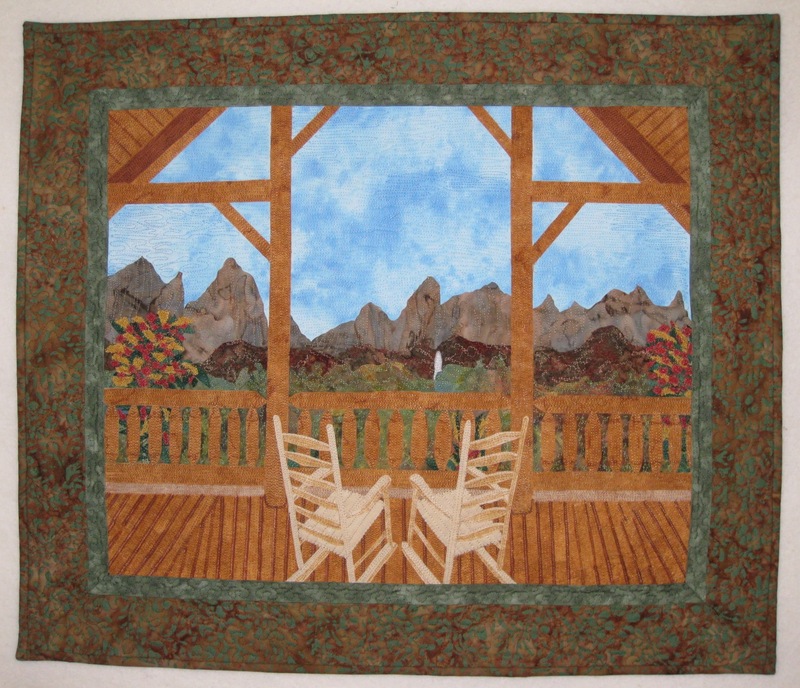 I have the itch to work on another landscape quilt. I just need to hang the background fabric on the design wall. All the fabrics I might use will be piled next to it and, as days go by, inspiration will move me and I will add a piece, unless I already have a design in mind or paper. This quilt is heavily freemotion quilted and, due to many layers, I could only use the walking foot (the backwards sewing with the walking foot was, huh, interesting). That will be the only quilt-related thing I will be doing this weekend!